When Roger described his latest project, a grammar for the heraldic language known as blazonry, I immediately said “what a great idea!”. Well, not exactly. But it turns out that it’s a nice example of how our text-mining software LeadMine isn’t just restricted to chemical and biological entities but can be used for a wide variety of tasks, limited solely by the user’s imagination. So what is this blazonry I speak of? It’s the language used in blazons, a formal specification of the composition of a coat of arms, written in a sort of English that Shakespeare would have found old-fashioned. 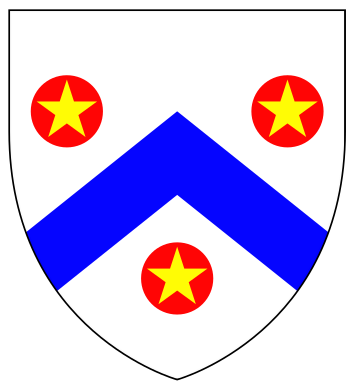 “Three lions rampant” is the classic example, which is somewhat intelligible, but how about “argent a chevron azure between three roundels gules each charged with a mullet or”? While software exists for interpreting and displaying such blazons (check out the excellent pyBlazon which was used to generate the images on this page), what if you wanted to mine a text corpus to find examples? Clearly you need to use LeadMine along with our newly-developed blason.cfx grammar. In fact, by combining LeadMine with pyBlazon, you can identify blazons in text and automatically pop-up the corresponding coat-of-arms when you mouse-over. To test out the grammar I ran it over the contents of Project Gutenberg, which contains out-of-copyright books. The motherlode is hit where people have written books on the topic: e.g. “gules, within a bordure azure” from The Manual of Heraldry (“Being a Concise Description of the Several Terms Used, and Containing a Dictionary of Every Designation in the Science”), “per fesse sable and gules” from The Handbook to English Heraldry (1914, by the author of “the monumental brasses of England”), “quarterly, or and gules, a plate” from The Curiosities of Heraldry or “Per chevron sable and barry wavy of six, argent and azure” from A Complete Guide to Heraldry (1909, images by the herald painter to the Lyon court). But the majority of hits are a single phrase from novels, or several phrases from historical books (e.g. 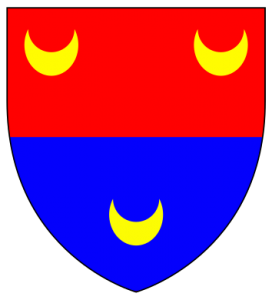 “Per fess gules and azure, three crescents or” from The Strife of the Roses and Days of the Tudors in the West).